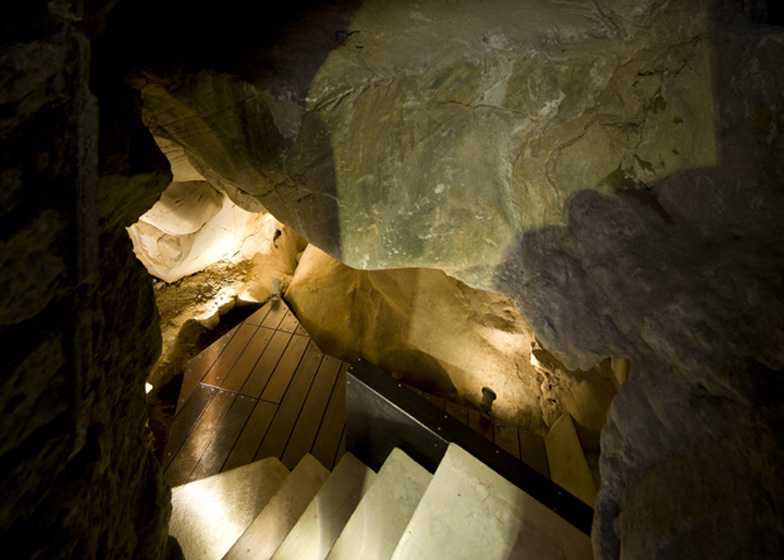 Lisbon architect Nuno Simões of DNSJ.arq has completed a series of staircases and walkways to allow visitors to explore a historic cave near Évora, Portugal. 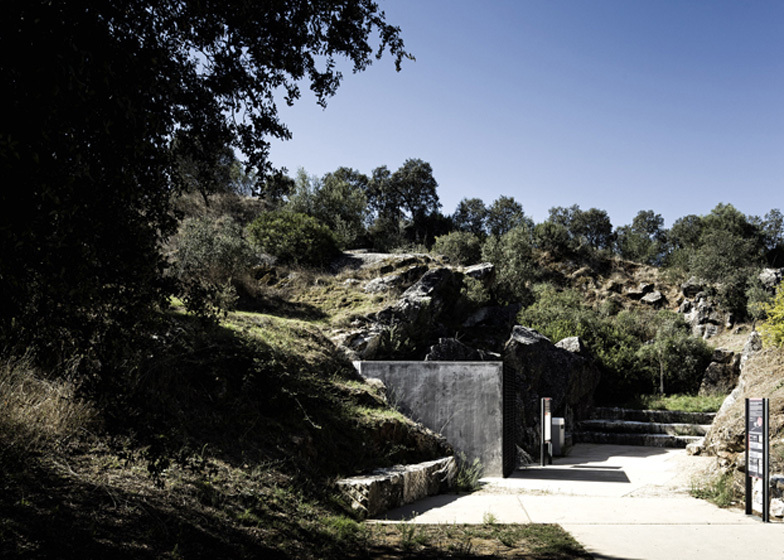 The project, at the Gruta do Escoural at Montemor-o-novo in Portugal's Alentejo region, involved replacing degraded existing temporary steps with a new steel structure with ipê timber boards. In addition, the architects built a new anti-chamber to protect the entrance and control thermal exchange between the exterior and interior of the cave system. The sensitivity of the limestone caves, which are noted for their Paleolithic-era rock-art and funerary graves, meant that construction techniques that might damage the sensitive historic site, such as welding or in-situ concrete pouring, could not be used. The assignment was to build a new structure to replace the former temporary structure, which was in very poor condition, and a new antechamber," says architect Nuno Simões of DNSJ.arq. "We decided that this structure should be opaque and black in sharp contrast with the light colour of the limestone cave." He added: "The main concerns of the structure to allow visitors inside the cave was to be able to run a clean and dry construction, considering the impossibility of using construction techniques that would require welding or in situ concrete and the use of enduring materials capable of withstanding the passage of time in a particularly hostile environment." Human remains dating back 50,000 years have been found in the caves. The earliest occupants were Neanderthal hunter-gatherers, and later it was used as a funerary site during the Neolithic era. The project was commissioned by the Alentejo cultural department and completed in 2011.